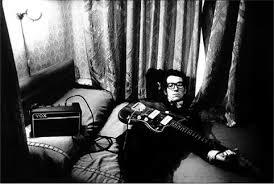 Elvis Costello (born Declan Patrick MacManus; 25 August 1954) is an English singer-songwriter. He began his career as part of London’s pub rock scene in the early 1970s and later became associated with the first wave of the British new wave movement of the mid-to-late 1970s.His critically acclaimed debut album, My Aim Is True, was recorded in 1976. Shortly after recording his first album, he formed The Attractions as his backing band. They toured and recorded together for the better part of a decade, though differences between Costello and members of The Attractions caused them to split by 1986. Much of Costello’s work since 1986 has been credited to him as a solo artist, though partial reunions with some members of The Attractions have been credited to the group over the years. Steeped in wordplay, the vocabulary of Costello’s lyrics is broader than that of most popular songs. His music has drawn on many diverse genres; one critic described him as a “pop encyclopaedia”, able to “reinvent the past in his own image”. Costello has won multiple awards in his career, including a Grammy Award, and has twice been nominated for the Brit Award for Best British Male. In 2003, Elvis Costello and the Attractions were inducted into the Rock and Roll Hall of Fame. In 2004, Rolling Stone ranked Costello number 80 on their list of the 100 Greatest Artists of All Time.